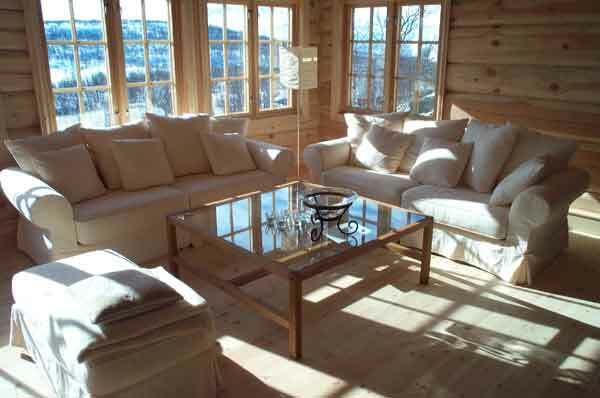 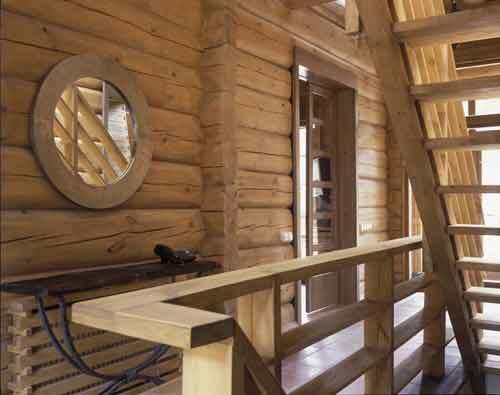 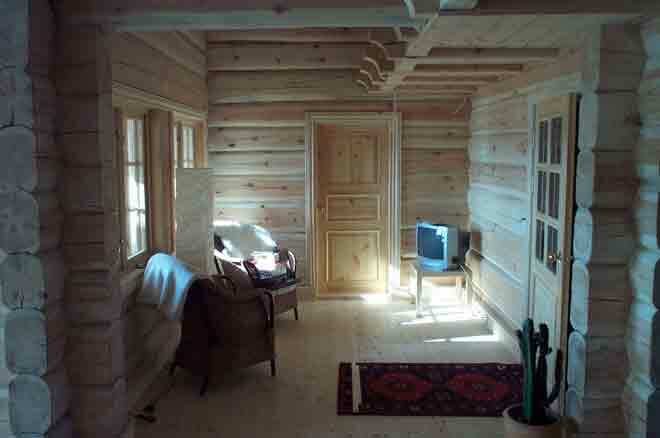 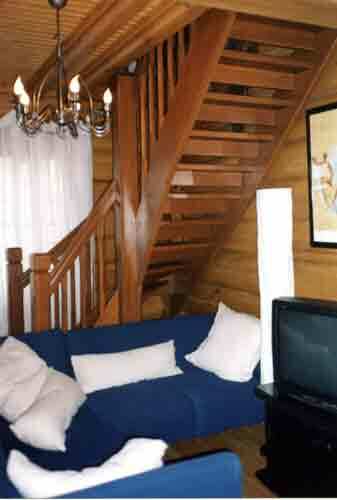 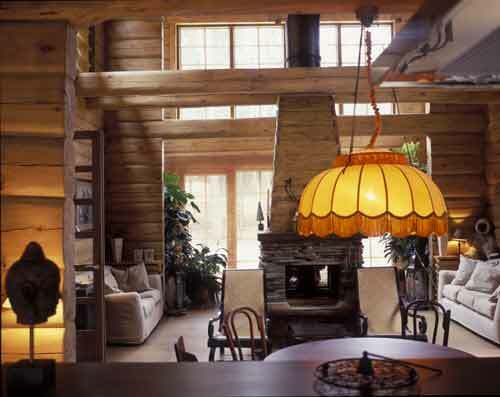 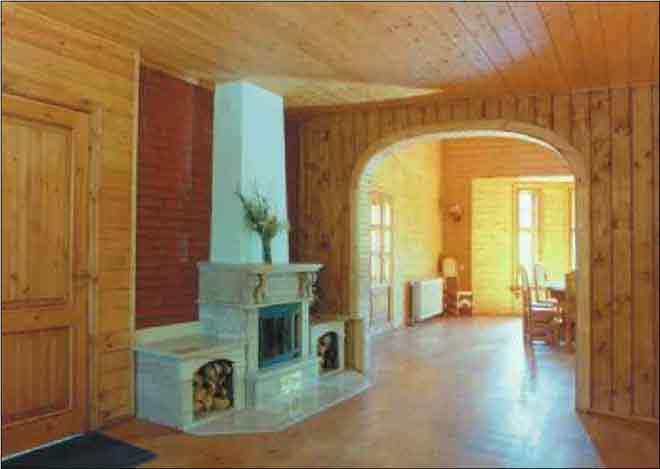 In a wooden house can be created as a modern and ethnic interior. 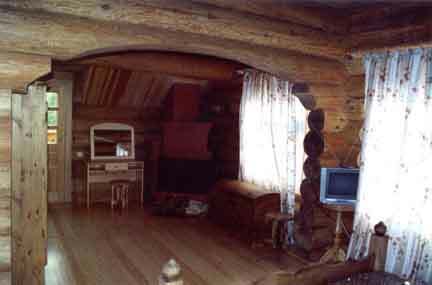 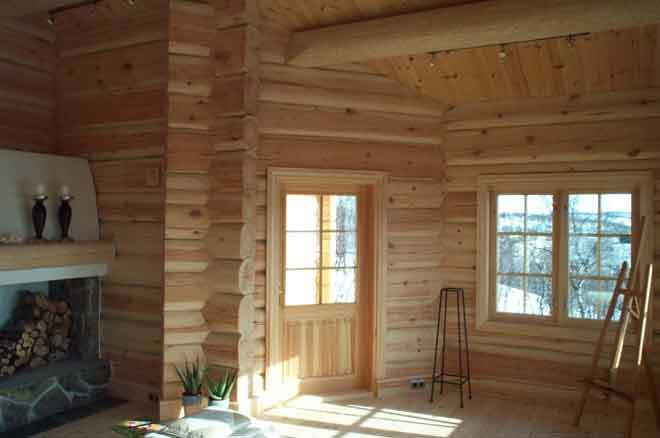 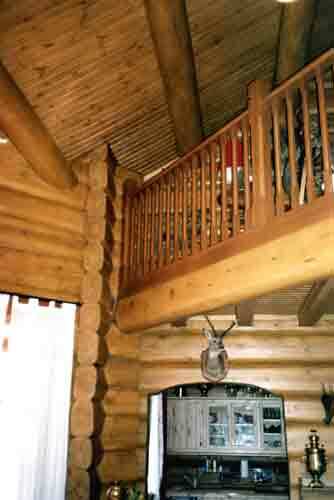 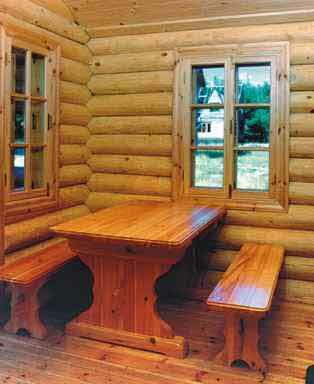 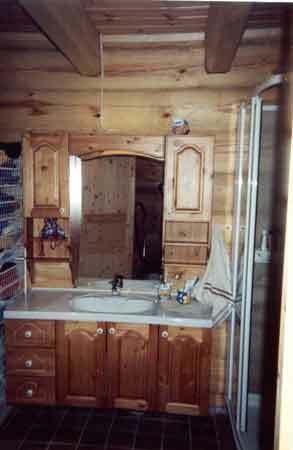 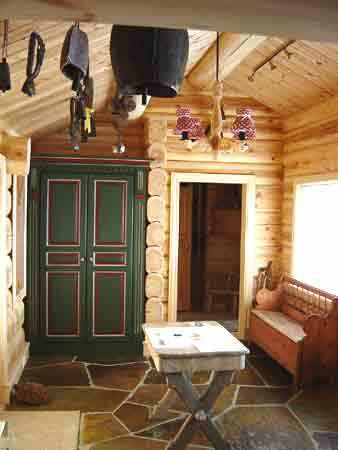 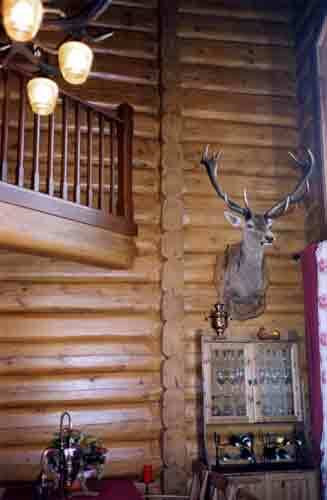 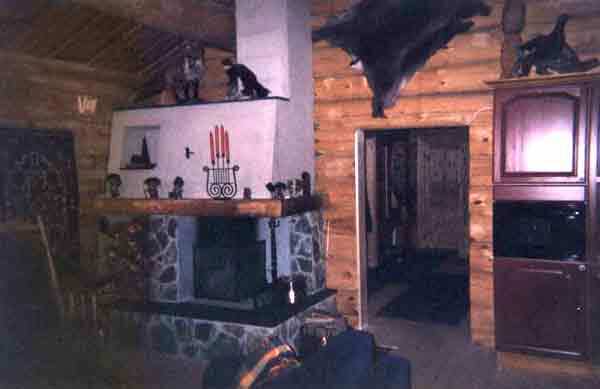 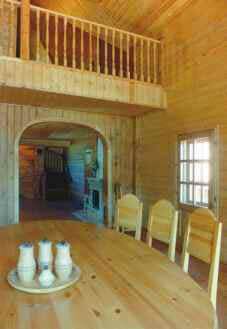 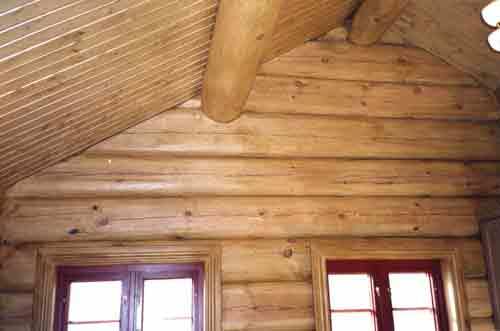 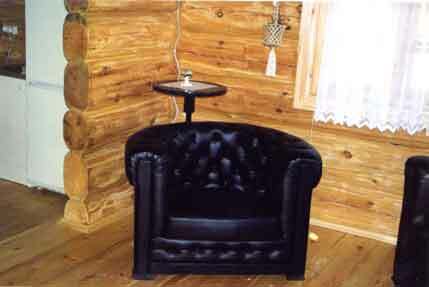 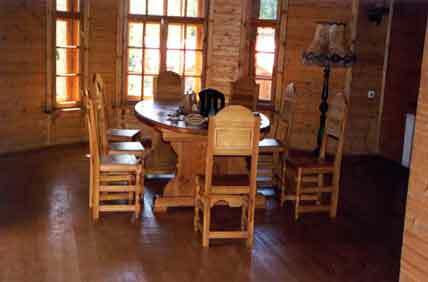 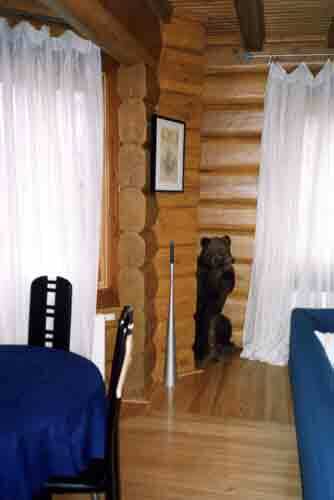 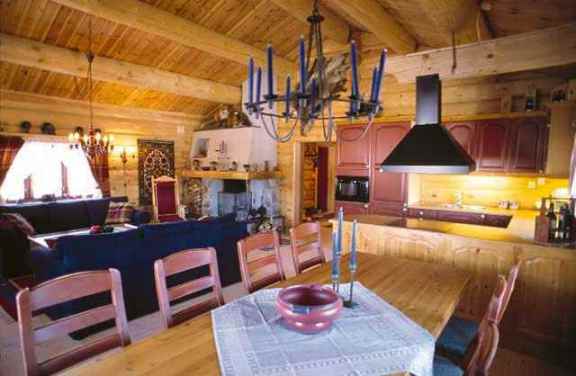 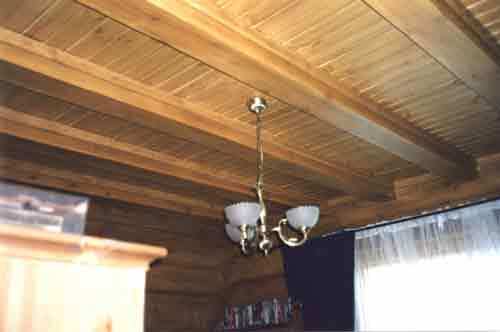 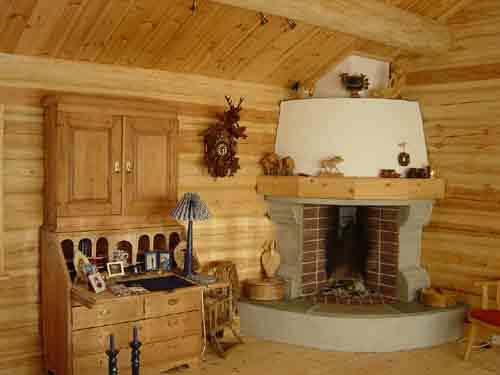 Often, in a log home the ceiling beams or the beams that support the roof are visible from interior. 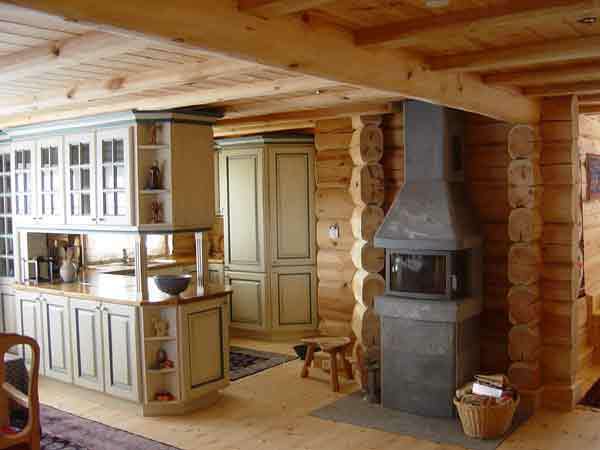 Using this possibility you can create impressive interiors in your home. 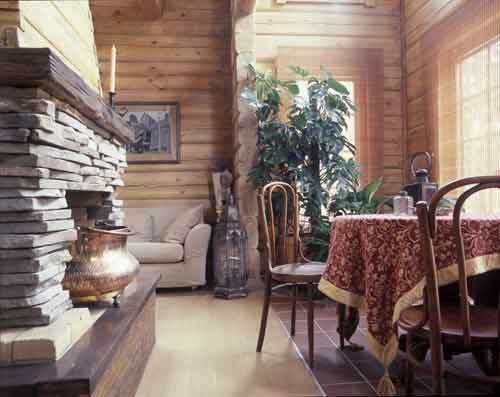 The walls of our homes do not require finishing.